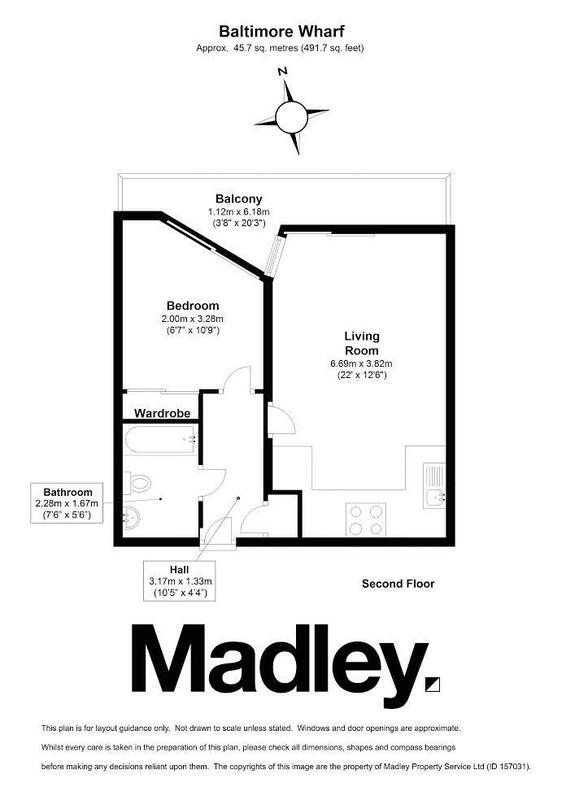 Madley Property are extremely proud to present this spacious and high end 1 bedroom apartment in the superb development that is Baltimore Wharf, built by renowned developers Ballymore. Located a stone's throw from Crossharbour DLR and a short walk from Canary Wharf, this apartment is ideal for professionals who work in the City or Canary Wharf estate. The apartment has an open plan reception which benefits from floor to ceiling glass windows which welcomes a plethora of natural light into the apartment. In addition to this, it includes a high specification, fully integrated kitchen. The double bedroom is also spacious in its size and includes a large built-in wardrobe. Continuing the theme of the apartment, the bathroom has a luxury modern finish. As a resident of Baltimore Wharf, you benefit from one of the best gyms in the area with high end cardiovascular and resistance machines. Alongside this, there is also a two-lane swimming pool, boxing ring and free weights area. The development also offers a 24-hour concierge service.